Over the last few years I’ve definitely lost my bottle. You’d have to pay me some serious cash to get me anywhere near places like Tully’s Farm Shocktoberfest during their mental Halloween-let’s-scare-the-crap-out-of-people-for-a-hoot-season. Seriously how on earth does a tractor ride in the mud, being scared poop-less by psychopathic actors waving chainsaws in your face, sound like a fun night out? Answer- it doesn’t- pass me a cup of green tea and Downton Abbey on catch up from the safety of my sofa any day. So why oh why have I put myself in a little situation that, not only involves a scary film, but a themed horror film event over the Halloween weekend. Where you can’t even rely on a cushion, or at least a hoodie, to shield you from any scariness because you’ll be baring all in a bikini and watching the film in a hot tub? I must be bonkers. But when the lovely folks over at Hot Tub Cinema invited me and a few friends along to their screening of The Craft as part of their Hot Tub Halloween season next week, I just knew it would be one scarefest I would actually love to be a part of, where probably the scariest part about the whole event, for me, will be getting into a bikini. And we all know that with a little help from my mate Pinot, that shouldn’t be too much of a problem. If you’ve read this post, then you’ll know I’m not a fan of scary movies, but there are a few of the more chick-flick variety that I actually enjoy and The Craft made my number two on my list of ‘favourite scary movies’. I’m using the word ‘enjoy’ lightly here…I’ll still poop my pants at the scary bits…which will be a pleasant experience for my fellow hot-tubers I’m sure. 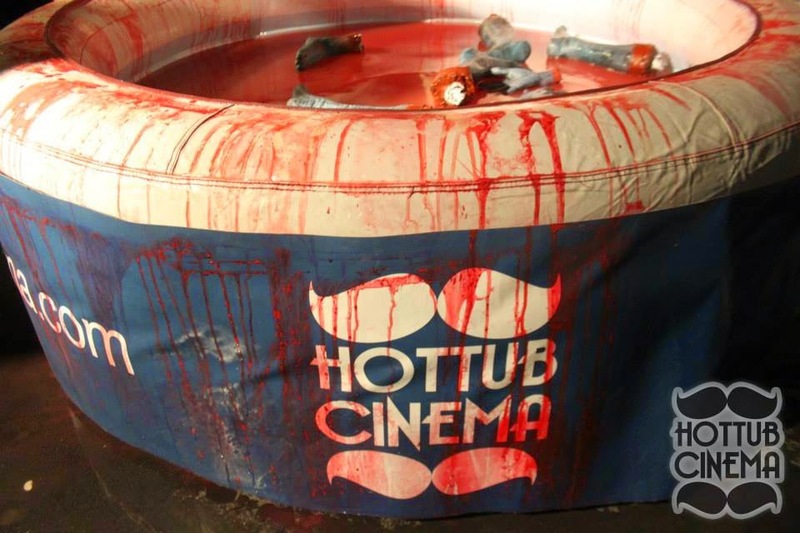 So if you’re looking for something to do this spooky-season, that’s much more pleasant than running around a field scared out of your nut or queuing for hours to traipse around a theme park horror maze, then there’s still time to grab your tickets for Hot Tub Halloween. The spook-season-screenings kick off this Monday 27th October until Sunday 2nd November 2014 showing a whole host of awesomely creepy but cool films such as The Lost Boys, The Rocky Horror Show, Shaun of the Dead, 28 Days Later, Scream, Beetlejuice and of course The Craft, so book your tickets now! Our first Hot Tub Cinema experience was amazing and I know this one will be even more so…and to see what a unique cinema experience like this entails, check out this vlog from the Labyrinth screening this summer! Disclosure: I have been offered complimentary tickets to attend the screen of The Craft with Hot Tub Cinema in exchange for this review……Hot Tub Cinema is amazeballs and everyone should do it at least once… all opinions are my own and have not been influenced in any way- I come up with this stuff all by myself. Previous Post Is This It…?